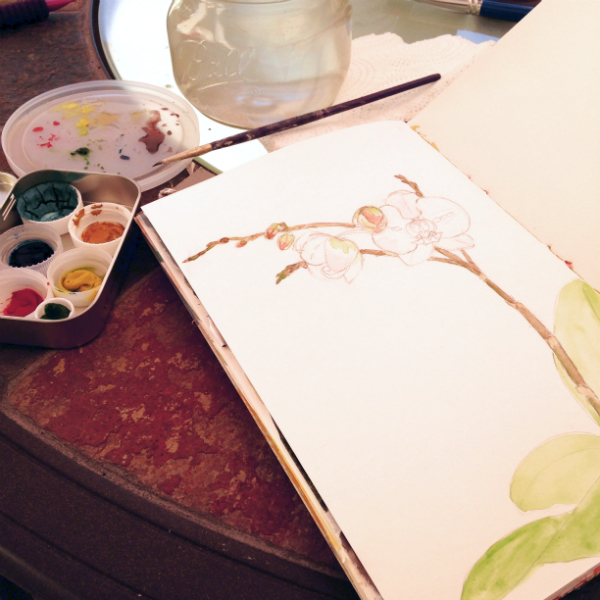 Every so often I enjoy going outside to do a sketch and paint something that is in my garden. I enjoy watercolor paints outdoors as they are easily portable and easy to clean up. If I don't want to carry my easel outside and set up (I will write about how I do that in a separate post), I will bring one of my art journals that I made with watercolor paper. To see my step by step process to create this drawing and watercolor painting, please go to my Teachable website and sign up to the FREE "class" Infinate Possibilites. See you there!